Why approaching acting like sport isn’t helpful. I went through a period of binge watching motivational videos on Youtube. Usually it was a football player, or bodybuilder, working to their limit amid snatches of Rocky Balboa quotes, and classical music. The videos would end and I’d be pumped. It’s four years since I graduated drama school, and after a lot of motivational videos, ambition and hard work, I’ve realised this game isn’t about being pumped up. That feeling that is so useful in sport, just isn’t helpful in acting. The parallels from sport to creativity are at times relevant, but they can also be exhausting, and at the extreme, damaging. For most, being an actor is not a journey that follows a linear storyline, but one of intermittent success, sporadic work, mediocrity and worst of all inertia. The acting game isn’t this romantic image of hitting rock bottom, then suddenly getting your life together at a Larry Moss masterclass, and landing that dream role. For some this is the narrative, but for most it isn’t. Most professional actors are well trained, talented, articulate people who are part of a system that cannot serve everyone. For these actors it’s the mediocre success. 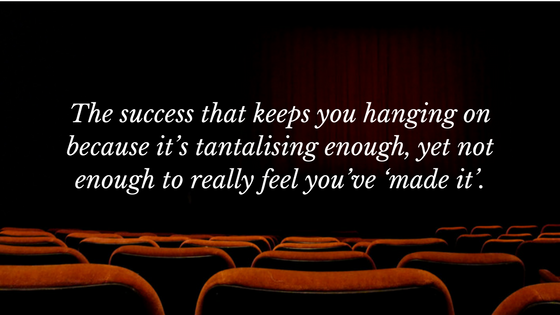 The success that keeps you hanging on because it’s tantalising enough, yet not enough to really feel you’ve ‘made it’. It’s having an mid range agent, auditioning, getting a recall here and there, maybe even a role. It’s the slight success that kills you, not the failure. There’s too much positive feedback, there’s too many good moments. Really good moments. Just enough to stop you throwing in the towel. Failure is easier to overcome. It’s a polarising decision where you either keep going or and give up. It’s never this simple for actors. Doing 100 push ups everyday in pursuit of physical strength, and working towards that simple, albeit exhausting goal, is doable. It’s clear. This is what most those Youtube videos are about: running, lifting weights, even when creatively focused it’s waking up early, writing for hours or painting an artwork. Simple tasks that have clear objectives and outcomes. Most actors aren’t short of energy, or ambition. But the process can often feel like your doing push ups to become more flexible; wasting energy in a confusion of what is really useful, and what is superfluous. 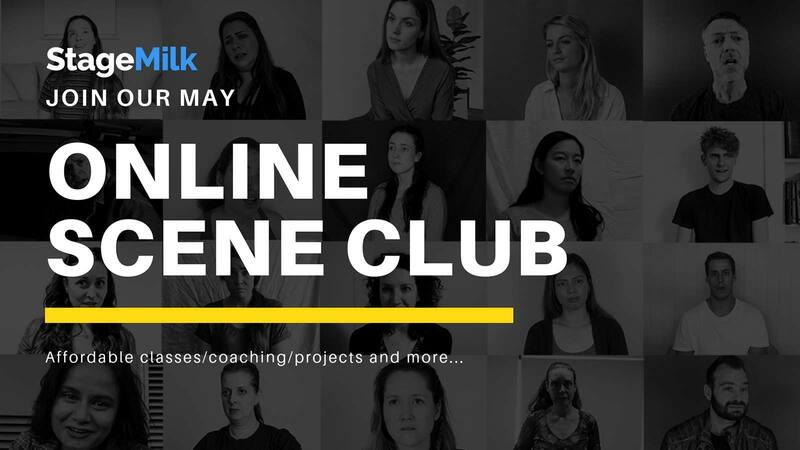 Hear about a project you could be suited to? Tell your agent and forget it. There is no amount of motivation, skill or energy that can help you beyond that point. Auditioning? Prepare the hell out of it. Do what you can do to feel relaxed walking into the audition room. Rehearse thoroughly and that’s it; doing the scene another 100 times won’t help. There are many areas where this “pump” is useful. Writing is a great example. Here you can get pumped up. You can set an alarm and go hard. 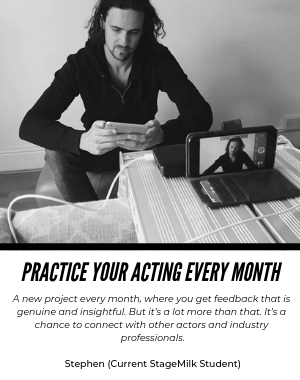 If you’re not getting work as an actor, write your own work. Creative projects where you are in control can capitalise on the lessons of sport. When you’re ambitious, nothing seems good enough. You set a goal, achieve it, and then move on. Make sure you keep track of your successes. Write them down. You may have missed out on the role, but you got asked back for a different role – that means they like you. You acted well. That is a success story. Ignore your inner critic and find the success stories where you can. In the sporting world there are countless examples where dedicated effort and hard work can truly lead to success. This isn’t the case with acting. You could be the best, most hard working actor out there and still get nowhere. There is an element of luck that can’t be circumvented. Accept this, and be at peace with it. It’s great to be passionate and motivated, but it burns you out. It burnt me out. You’ve got to be clear about what you want and be honest with yourself about how you’re going. If you know that your voice is your weakness as an actor, then draw on the sporting metaphors and “just do it” – wake up early and do a voice warm up. If you haven’t read a play in a few months, read a damn play! In specific circumstances like this hard work can absolutely benefit your career. It can be more valuable to read a single Shakespeare monologue, taking your time to understand and work through it, than to read the complete works. If you’re like me, you love achieving things, but your list of achievements don’t count for much. What matters is what you can offer in the audition room and on the rehearsal floor. If you are burning out because you’ve been sold the idea that success as an actor is similar to success as a sports star, then slow down. Find ways to relax and give your life space; pushing might not be helping. The desire to be a success as an actor most often manifests in desperation and bitterness, so accept where you’re at and try and enjoy life.